Patricia Wells at Home in Provence is an invitation to step inside her 18th century farmhouse and enjoy some classic Provencal dishes such as Butter-Roasted Herbed Chicken, Seared Pancetta-Wrapped Cod, earthy daubes; Summer Pistou; Caramelized Fennel Soup; Spit-Roasted Brine-Cured Pork, Winemaker’s Grape Cake and Patricia’s Apricot-Honey-Almond Tart. 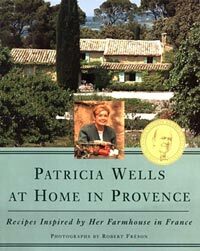 With 175 recipes from her farm kitchen, thoughtful and interesting observations and stories, along with plenty of evocative and mouthwatering photographs, opening the pages of Patrica Wells at Home in Provence is akin to taking a trip to sunny, flavorful Provence with a wonderful cook, writer, and food-lover. 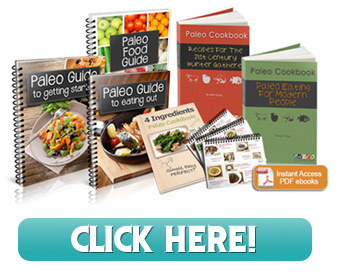 While most of us don’t have the good fortune to live in a farmhouse in Provence, we are thankful that Patricia Wells brings Provence into our own humble kitchens, allowing us to at least live vicariously through the pages of her wonderful book.